Many patients, especially international travelers, assume that urgent care and the emergency room (ER) are the same, which is not true. It’s important that visitors to the US understand the difference between urgent care and the ER if an injury or illness should occur. Visiting the wrong facility could result in inadequate treatment or higher medical bills. Urgent care facilities are convenient medical centers with onsite physicians who can assist you with non-life-threatening injuries or illnesses. Urgent care centers do not replace your primary physician, but they do provide 24-hour care for minor accidents or sudden illnesses that simply cannot wait. Urgent care centers usually accept most private health insurance plans and the cost of an urgent care visit typically starts at $70. The ER is a department of the hospital that provides immediate medical care for life-threatening incidents, such as severe illnesses and traumatic injuries. 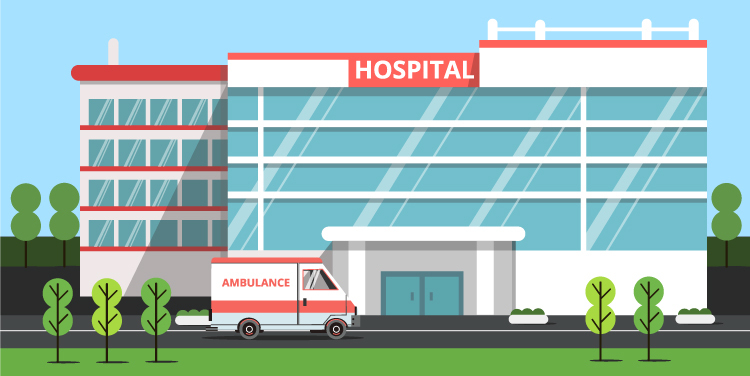 You should only visit the ER for life-threatening medical situations, especially because the cost of an emergency room visit can be expensive, usually starting at around $1,500. When visiting the US, you should know the differences between urgent care and emergency care and which to visit in the case of an emergency. Medical situation. The emergency room is for traumatic and life threatening injuries and illnesses while urgent care centers cater to less severe medical needs. Wait time. If you visit the ER, it could take hours to be seen by a physician depending on the severity of your case. Emergency rooms will see patients with more serious cases first, pushing you back if yours is less detrimental. In these cases, urgent care visits tend to be much quicker. Cost. Urgent care visits are much less expensive than emergency room visits. The difference in cost can reach up to thousands of dollars. If you require medication attention, it is recommended that you visit urgent care first. If the urgent care physician determines that your situation is life threatening, you will be transferred to the ER. You can also contact the urgent care center and describe your condition for assistance in determining which facility is best suited to treat you. For assistance in finding nearby urgent care centers or emergency rooms, contact the travel assistance services number on your visitors insurance ID card. With both urgent care and the emergency room, medical expenses can add up to thousands of dollars without insurance, especially in the US. The possibility of having to visit urgent care or the ER while traveling abroad is just one of the reasons why you should buy visitors insurance. What about an Emergency Abroad? In case you are involved in a medical emergency abroad you may need evacuation. In such case emergency medical evacuation would save you. Learn more about situations where this type of insurance may need to be considered on our Emergency Medical Evacuation Article. How Do PPO Networks Work with Visitors Insurance?